With a wrap-around chrome guard giving 360º protection, this all-metal unit offers outstanding fly control performance durably. Removable spring-loaded killing grid for thorough cleaning. The Titan 300 is ideal for larger kitchens and all commercial uses. 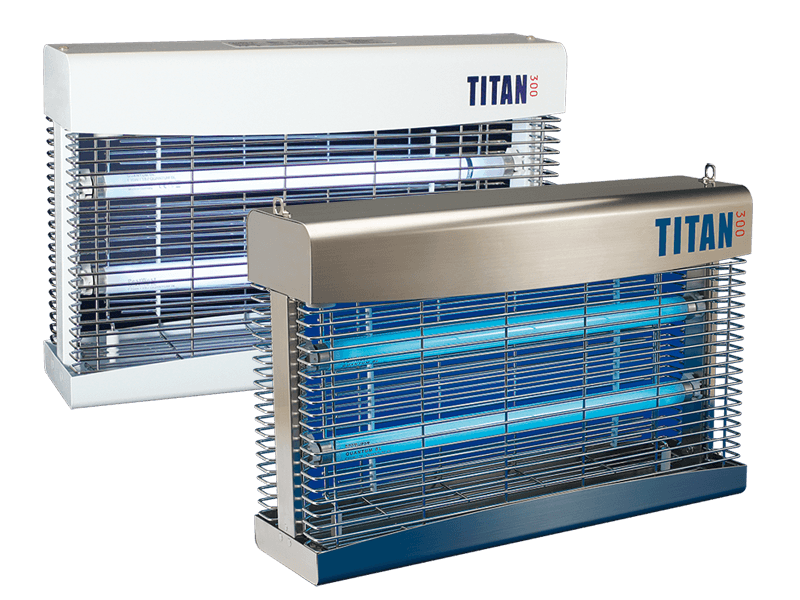 It can cope with heavy fly infestations and be adapted to operate as a cluster fly unit by removing the tray.